Fhyzics Business Consultants was established in the year 2007 became a Private Limited firm under Companies Act in the year 2012. Fhyzics is a leader in business analysis and business analytics. We help companies to solve complex business problems and to put their data to strategic advantage. Since inception, we are serving clients in India, USA, Canada, UK, China, Middle-East, Australia, New Zealand and Singapore. Fhyzics is an International Channel Partner, APICS, USA | Registered Education Provider (REP) of International Requirements Engineering Board (IREB®), Germany and Indian Affiliate. of Product Development and Management Association, PDMA, USA. Mr. Venkadesh Narayanan is the Principal Consultant at Fhyzics Business Consultants Private Limited and President at Product Development and Management Association (India) - An Indian affiliate of PDMA, USA. He is a Mechanical Engineer and an MBA with over 28 years of experience in Consulting, Business Analysis and Process Improvement. Mr. Narayanan is a former member of Indian Civil Services [IRAS 2000 Batch] and served at Indian Railways, Larsen & Toubro – ECC, Siemens (USA), Euro-Pro LLC (USA) and Latex International (USA) prior to joining Fhyzics. He is also functioning as an Approved WAREX Assessor for Confederation of Indian Industry – Institute of Logistics. Mr. Aravind Lakshmanan is currently working as an Associate Business Consultant at Fhyzics Business Consultants Pvt Ltd. He is handling the Business Plan development and as a team member, he works in various business consulting services including requirements gathering, process map creation using Microsoft Visio, SOP development, New Product Development, Movie Analysis Services, and E-commerce Development. He completed his Under graduation in the field of Aeronautics. Before entering into the world of Business Consulting he has volunteered for the empowerment of rural education in an educational service organization. Mr. Sathya Narayanan is a Supply Chain Analyst at Fhyzics Business Consultants Private Limited. He is a Commerce Graduate and has done his Master’s in Business Administration. He has 2+ yrs. of experience in the field of Healthcare Administration, Supply Chain and Logistics. Mr. V. Saravana Kumar is currently working as Website Designer [Joomla] in Fhyzics Business Consultants Private Limited. He has around one year experience in the area of Web site Designer [Joomla] in analyzing, reviewing and implementing changes to websites ensuring that they are optimized for search engines. Also perform SEO analysis and recommendations in coordination with elements and structure of websites and web pages. He has around one year of experience in the area of SEO, Website Designing and Email Marketing. He was good at providing recommendations and execute/manage strategies for content development in coordination with SEO goals. M/s. Karthiga Lakshmanan is currently working as Research Analyst at Fhyzics Business Consultants Private Limited. She is responsible for handling the business analysis and requirements engineering certification enquiries, email marketing and creating invoices. Following up with enquiries and also ensures that whether the customer's needs are met and updating the minutes in CRM. Skilled in the field of Inbound & outbound Marketing. She takes the responsibility in managing, collaborating and responding to various customers. She has a good knowledge in creating Standard Operating Procedures, Email Marketing and Presentations. She is handling the program management and class coordination related activities. 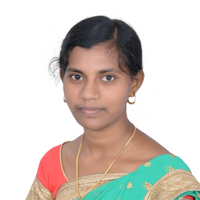 M/s Lavanya Murugesan is currently the Research Analyst and about one year of experience in SMBCART, Ecommerce Project handling, Email Marketing and Customer Support Services. Involved in capturing and structuring of data to create product/service content and uploading the content in e-commerce site. She has skills in CRM software and Photo editing. Helping company grow its e-commerce business channels by supporting plans relating to customer experience, such as the look and feel of its website and the ease of navigating the website. She was the member of speaker co-ordination committee in the PDMA-India International Conference 2017. M/s. Prema Kani is currently the Research Analyst and has about 1 year of working experience in Customer Support, Email Marketing and CRM field. Has specific work experience in maintaining the records of customer interactions, recording the details of inquiries, complaints and comments. Also coordinating and tracking the enquiry handling process within the team. Creating email campaigns and tracking the performance continuously. Follow up to ensure that appropriate actions were taken on customers' requests. She was a member of Quiz committee and Volunteers in the PDMA-India International Conference 2017. She has skills in photo editing. Fhyzics’ team of 50+ consultants and research analysts are well qualified and experienced in diverse industries. About 90% of our consultants hold engineering and business master degrees from India and abroad.